“On the first day of Christmas, my true love gave to me, a hawk in an apple tree.” What??!! Those aren’t the right words. That’s why this is a Mad Lib®. 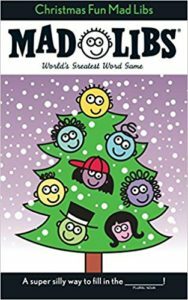 From “Christmas Vacation” to “A Visit to Santa at the North Pole,” Christmas Fun Mad Libs® can add laughs to your holiday. Make traditional songs and stories wacky by adding parts of speech. Just read the simple directions and play Mad Libs® with friends or by yourself. It’s the world’s greatest word game. 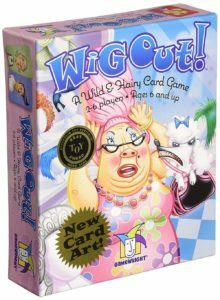 The unbeatable combination of Hidden Pictures® puzzles with stickers and a Mad Libs-like fill-in-the-blank activity is unique to Highlights(TM). 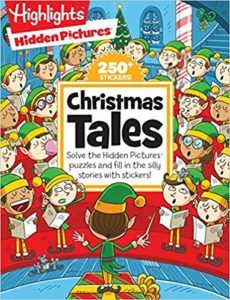 Kids will have a blast solving the Christmas-themed Hidden Pictures® puzzles, then placing the corresponding stickers in the blank spaces of the stories in whatever order they choose, creating a unique silly story from a multitude of possible combinations. 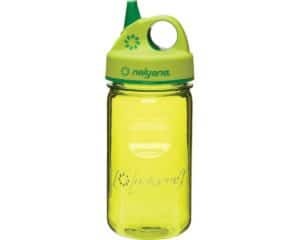 Spillproof so you can fill it with grape juice without worry as well as small size and indented profile making it easy for a toddler to grip. Gonex packing cubes feature breathable, mesh-top panels that offer not only important ventilation, but also at-a-glance viewing for easily identifying what’s inside. Two art activity books in a packing bag, each book have 10 pages, Total 20 pages. 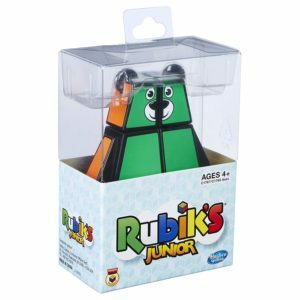 Kids can create colorful art by scratching off the black coating to reveal rainbow colors, build fine motor control and boost confidence through artistic expression. 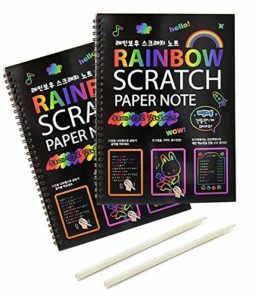 Use the scratcher to scratch away the black matte surface of the paper, revealing the brilliant rainbow colors beneath! 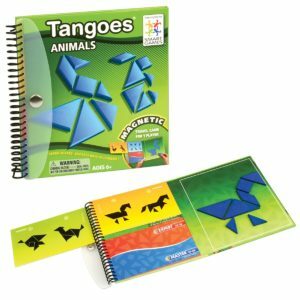 Easy- scratch paper makes it easy for kids to create colorful, no-fail designs. In each package 20 scratch off paper boards, each measuring 10.25 x 7.5 Inch plus two stylus-style scratchers. Use for multiple purposes, doodle, jot notes, create cards, sketch, draw, trace and more! The perfect outlet for your children’s artistic thoughts. 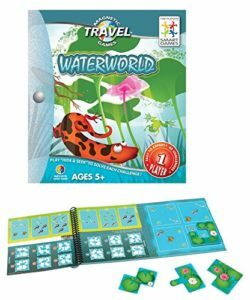 A fun, unique twist on puzzle games…hide the water animals! 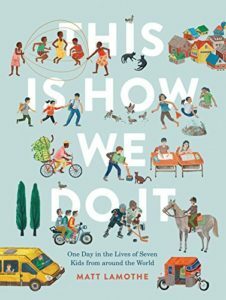 Follow one day in the real lives of seven kids from around the world—Italy, Japan, Iran, India, Peru, Uganda, and Russia! 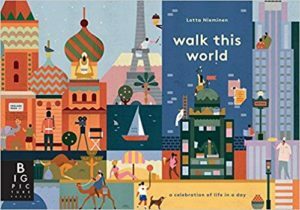 A composite of global cultures, Walk this World celebrates the everyday similarities and differences that exist between cultures around the world. Travel to a new country with every turn of the page, each with new surprises to discover: peek through windows, open doors, and delve underground by opening the many flaps on every spread.